A new mural painted on the side of the Lawncrest library branch celebrates the life of Philadelphia’s first female firefighter to die in the line of duty. By Joe Trinacria·	 6/13/2017, 4:16 p.m.
Photo by Steve Weinik for Mural Arts Philadelphia. 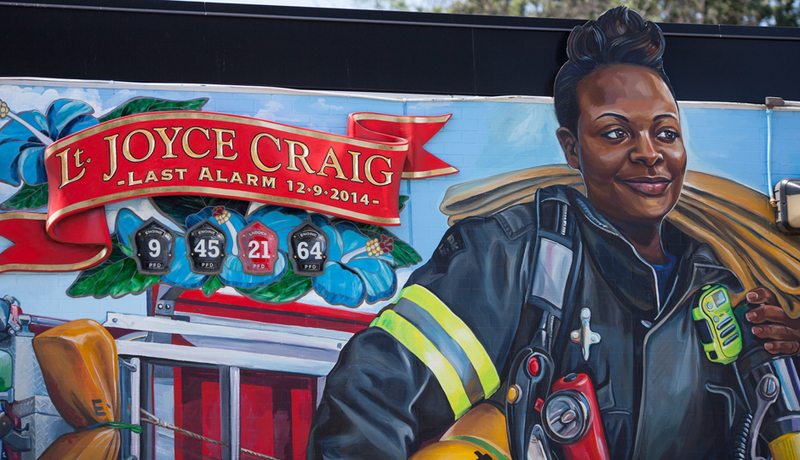 The latest project from the city’s Mural Arts program celebrates the life and memory of the first woman to die in the line of duty in the Philadelphia Fire Department’s 146-year history, Lt. Joyce Craig. Unveiled on Saturday, a vibrant mural painted on the side of the Lawncrest Branch of the Free Library of Philadelphia (not far from Engine 64, Craig’s station house) depicts the courageous firefighter springing into action with a hose on her shoulder and a smile on her face – just as she did working that fateful overtime shift in West Oak Lane. 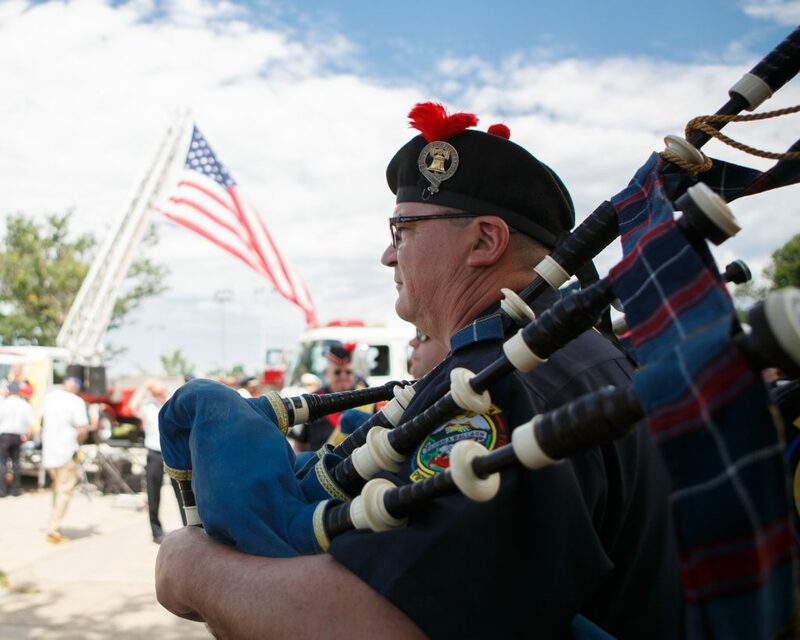 Craig died battling a December 2014 house fire on Middleton Street after investigators say she was left hanging by her back-up team, which took 21 minutes to arrive. Trapped in the dining room of the home, a report conducted by the National Institute for Occupational Safety and Health states that Craig died when the hose line on her outdated breathing apparatus burst and she lost available air. “I didn’t know Joyce myself, but after Joyce’s passing, I asked a firefighter, ‘I said was she that good? He went, ‘she was that good and she was even better,'” Mayor Kenney said at the dedication this weekend. The lead artist for the project was Nathaniel Lee, a Philadelphia-based muralist who has been with Mural Arts since 2007.